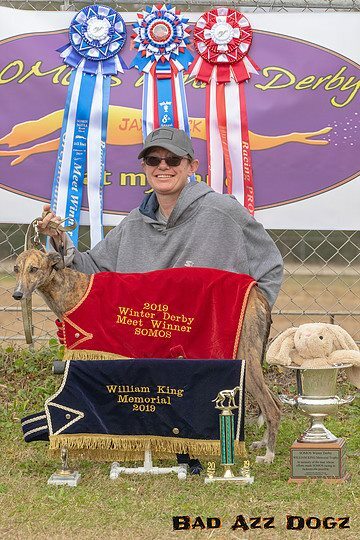 Kiwi (Kawpeewrite) winner of the Winter Derby two weekends ago at the SOMOS Winter Derby in Jax, and also the winner of the William King award in great honor of William King who was instrumental in getting us use of the trainer's track in Jacksonville. 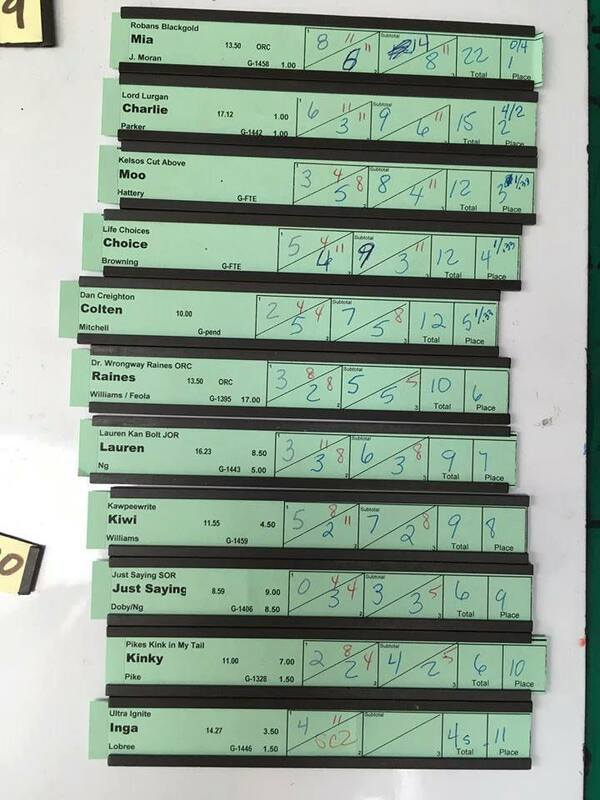 Congratulations to all the hounds and their owners! Thank you to LARK for making this year's Nationals an outstanding event and one to remember! 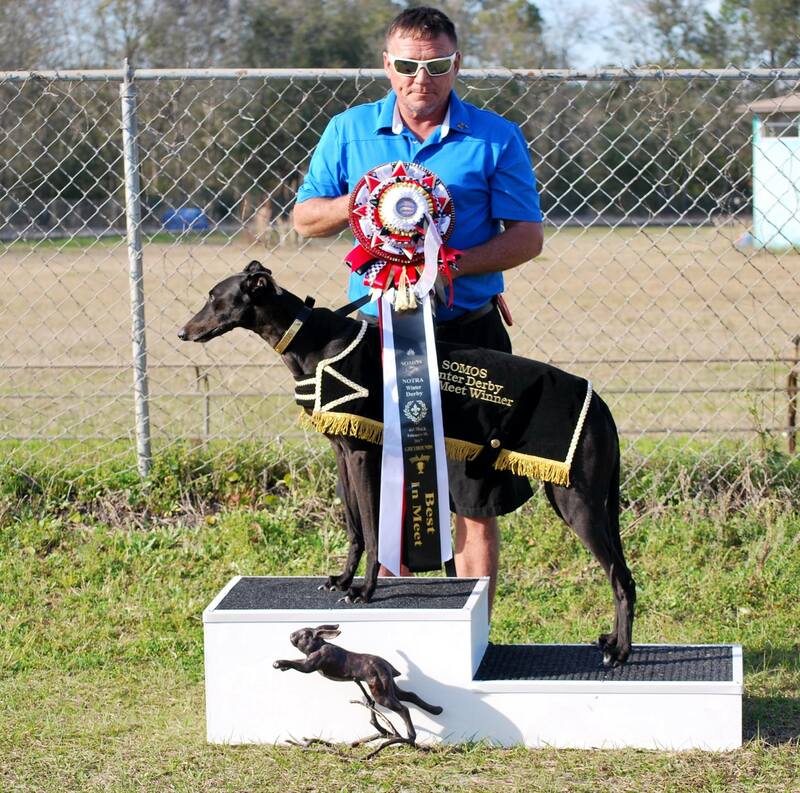 Congratulations to Mia (Robans Blackgold) and her owner Jason Moran for taking first place greyhound in the SOMOS Winter Derby that was held Saturday Feb 15th at the Jacksonville Training Track. Congratulations to all the greyhounds running in the event. Nice to see such a big entry! The Grading Guide does not contain inactive dogs. Please refer to the inactive dogs pdf document if you need information about dogs registered with NOTRA but not listed on the active grading guide. In the interest of keeping the active grading guide to a manageable file size, all dogs who have not run since the year 2011 are in Inactive Dogs. Please contact the OB Racing Registrar if you see any errors in the current grading guide or if you have a specific question about the grading guide. All FTE forms and fees go to Jean Pennie at the address below. NOTRA instructions on race reporting, FTE submissions, etc.